If you follow my instagram you know that for the past 3 months I trained Women’s Health editor in-chief Katie Mulloy and I religiously updating her progress. 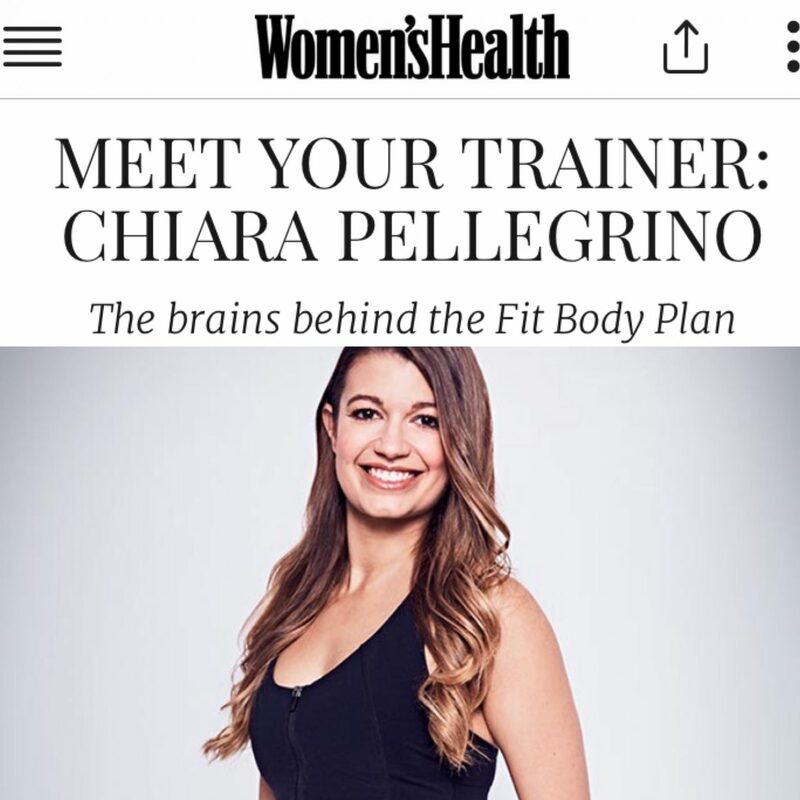 Well, the programme we did is now available to purchase on Women’s Health App and goes under the name of Fit Body Plan. This programme combines traditional bodyweight exercises with sculpting, barre-inspired moves and fat-melting, high-intensity cardio. Each workout offers something different in order to keep your body guessing and your progress moving in the right direction. The results that I was most pleased about weren’t only aesthetic but lifestyle related: Katie started feeling more and more confident in herself and you could see it so clearly. She changed her clothing style, she started going to HIIT group classes that she wouldn’t take before as she would feel too unfit or self-conscious. This fitness program is all about cultivating healthy habits, progressing your fitness week-on-week and finding your healthiest, happiest weight. The Fit Body Plan is about making fitness a focus, without setting yourself up to fail. To get the Fit Body Plan 2017, simply head to the App Store and download the ‘Women’s Health UK’ app. The programme is free to digital subscribers (or digital & print bundle subscribers) and £16.99 to non-subscribers and print only subscribers. To upgrade a print only subscription to a print + digital sub for a small fee – and get the Fit Body Plan 2017 as part of your subscription for free – please call 01858 438838 and talk to our customer service staff. If you’ve picked up the Jan/Feb issue of the mag you’ll see the first two weeks of the plan. Visit Women’s Health UK in the itunes App Store or Women’s Health UK in Google Play Store if using Android. You’ve heard it time and again: Healthy is a lifestyle, not a trend. Come get healthy with me! If you try the plan please let me know about your progressions. If you have any questions on the plan please comment down below!